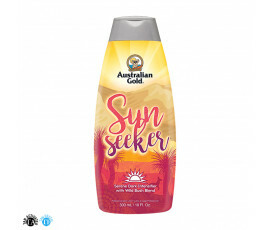 Australian Gold Outback Collection is a range of sun cosmetics that strengthen skin's protective barriers thanks to the nourishing ingredients in it. Two benefits derive from using these products: more protection from damages caused by sunrays and faster, stronger and long-lasting tanning. 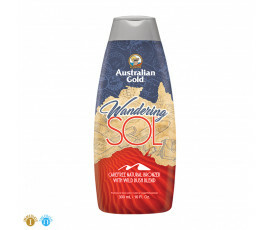 Australian Gold Outback Collection: high-quality natural products for a tanned and healthy skin. 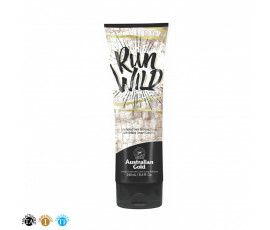 Australian Gold Outback Collection products are hypoallergenic and perfect even for sensitive skins. Enriched with Aloe Vera and highly-moisturizing ingredients with Vitasome Complex: this blend of Antioxidant Vitamins, such as Vitamin A and E, takes care of the skin, fighting effectively wrinkles and fine lines. Liposomes provide an anti-age effect for a flawless and even tan. All these lotions include an antibacterial ingredient that reduces after-tanning smell. 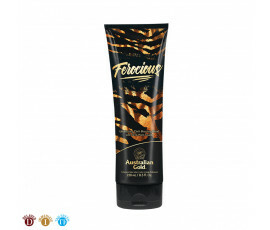 Tan Activator Bronzers: innovative blend of melanin activators for a natural black tan. 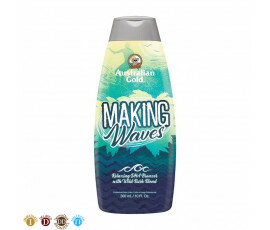 Delayed Bronzers (DHA): Small amounts of products for a darker tanning, just after 8 hours and up to 4-7 days. Wash hands immediately after applying. Immediate Bronzers: A super-fast sun-kissed glow lasting up to 1-2 days. No residues. Wash hands immediately after applying. DermaDark: Melanin activators, that do not stain. TanFresh: Exclusive ingredient that removes after-tanning smell.